If you are looking for a more complete range of features from your CCTV system, but still only require four camera inputs, the D4 may be for you! Why pay a premium for unnecessary camera channels? 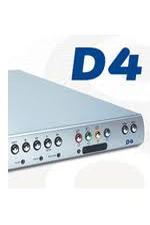 The D4 allows your organization to invest less in a DVR without compromising on quality and functionality.